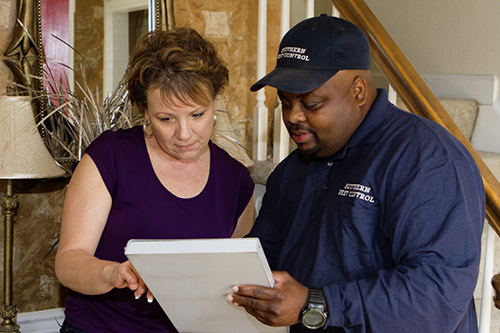 Sovereign’s Austin Pest Control offers customized and comprehensive pest control management and exterminating services for termites, mosquitoes, fleas, spiders, ants and many other pest issues. Are you living with a pest infestation in your Austin, TX home? 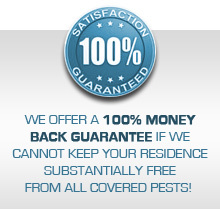 Let our certified highly skilled pest experts eliminate your pest problems. Our Austin Pest Control technicians receive continual training in pest control technology and advancements so we can deliver to our customers the most effective pest management and exterminating services available. Our dedicated and reliable Austin Pest Control Exterminators also service Travis County, Williamson County, Hays County and Bell County. Contact the professional team of exterminators at Sovereign Pest Control today for a no-obligation quote at no cost regarding your home. Don’t forget to ask about our 100% money back guarantee. Be sure to check out our discounts on Specialty Service options. Specialty Services include Mosquitoes, Flies, Stink Bugs, Wasp and Bee Nest Removal, Fire Ants, Fleas & Ticks Pet Service, Box Elder Bugs, Pantry Pests, and Cicada Killers. Refer your Austin friends, family and neighbors and save on your service. Ask about the $50 discount off yearly service for every referral that becomes a service plan customer. All you have to do is submit the information on the referral form.